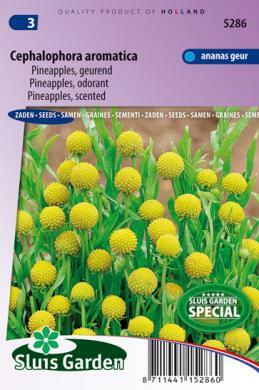 A very richly blooming plant with distinct bright yellow flower buds. If you move the leaves slightly, you will smell a deliciously sweet apple/pineapple fragrance. Small and pretty cut flower. Pre-sow in warm conditions, prick out and transplant to your border or flower boxes. An annual plant, but can survive a mild winter.